Upon receiving Lucy's Crab Shack by Sweetwater a couple weeks ago, I couldn't help but imagine what I could make out of this fun, summer inspired collection! 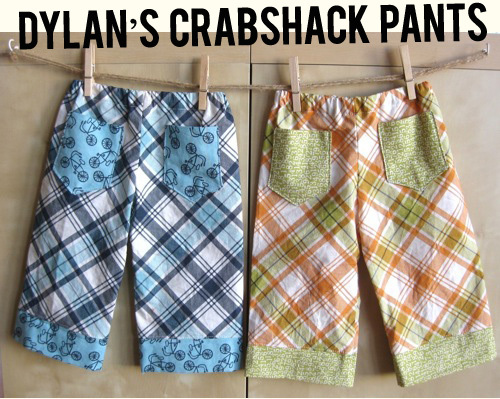 I decided to make pants for my 10 month old son Dylan. I chose to use Beach Blanket in Deep Sea and Orangecicle as the body and for the pockets and cuffs, I used Cruisers Ocean and Number Games Green Apple. I used a free downloadable PDF pattern from Make-Baby-Stuff.com. 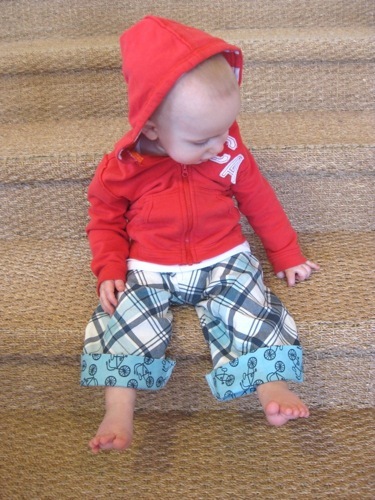 The pattern makes pants for sizes 0-3 and 6-12 months. You can view the tutorial here. This collection is full of great summer prints for girls and boys! 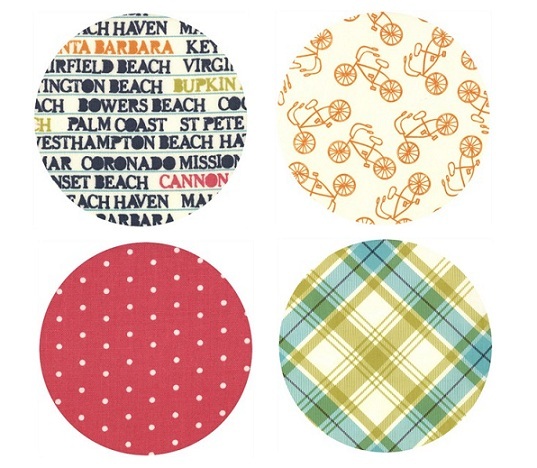 I could definitely see an adorable dress or hat made out of these fabrics! The pants are super cute but I love that baby even more. Those are so cute and he looks so cute in them. Oh my gosh, those are awesome! What a cutie. I think I'm going to try making those this weekend for my 8 month old. Super cute!! I need a pattern for my 3 year old we are going to the beach for vacation and these would be great!